Alastair Stewart OBE presents a range of news and current affairs programmes on the ITV network including The ITV Evening News, The ITV Lunchtime News and News at Ten. In April 2010, he moderated the first-ever live TV debate between the Party Leaders, ahead of the General Election. Alastair’s career started in 1976 at ITV’s Southern Television in Southampton. He was a reporter, industrial correspondent, presenter and documentary maker. In 1980 Alastair joined ITN as an Industrial Correspondent. He is one of the very few people who have, at one time or another, presented all of ITN’s main news programmes. In 1990 he was appointed ITN’s Washington Correspondent, an assignment abruptly interrupted by the first Gulf War. He was sent to Dhahran, Saudi Arabia, to anchor ITN’s coverage. He presented News at Ten, live from Saudi Arabia, for two months. At the end of February 1991, Alastair was the first British television reporter to broadcast, live, from the liberated Kuwait City. ITN’s network coverage of the 1992 Budget saw the ninth year of Alastair’s involvement in the presentation of this special programme for ITV. It was his fifth year anchoring the programme having taken the role from Sir Alastair Burnet. He has since been a regular presenter of Budget programmes. Away from ITN, he has presented: Alastair Stewart’s Sunday for BBC Radio Five, Alastair Stewart’s Sunday Programme for GMTV, London Tonight for ITV London and Police, Camera, Action for ITV. He returned to ITV News as an anchor on the ITV News Channel for the 2003 Iraq War, the channel’s Local Government Elections coverage and a special programme on the European Single Currency. He went on to present his own news and interview strand “Live with Alastair” for which he won the Royal Television Society’s Presenter of the Year Award in 2005. He has presented many of ITN’s other special programmes on the ITV network including the State Openings of Parliament, numerous by-elections, State Visits and for the Royal Weddings of the Prince and Princess of Wales and Duke and Duchess of York. Alastair studied economics, politics and sociology at Bristol University and was Deputy President of the National Union of Students, 1974-76. In 2006, he was awarded the OBE in the Queen’s Birthday Honours List for his work in broadcasting and charity. 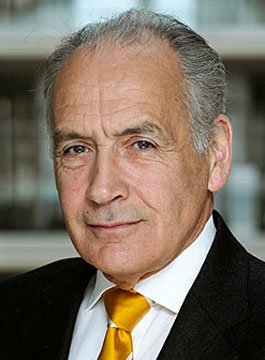 Alastair Stewart is available for conference hosting, facilitating and awards hosting.